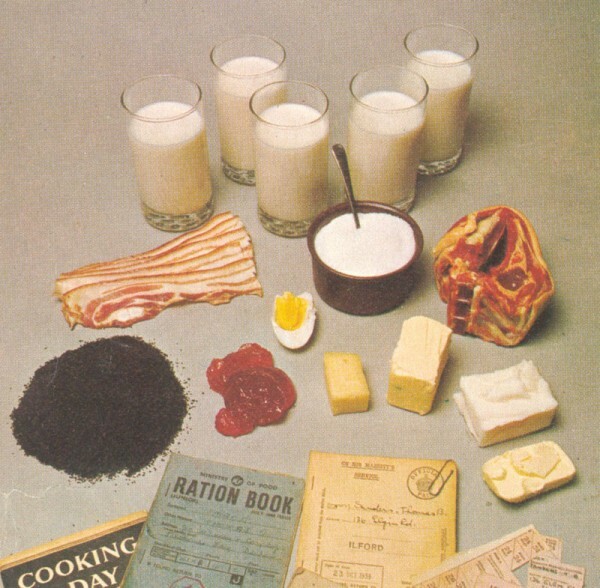 Rationing is one of the topics that often comes to mind when discussing the war’s impact on the home front. The concept came home to roost in a small way last week. I have a strong sweet tooth. As far as I’m concerned it’s not a meal if it doesn’t include dessert. I decided to make some cookies and went to the pantry and fridge to collect ingredients only to discover we were out of eggs. That’s not normally a big deal, but this month has been a financial challenge with large unexpected expenses such as four new tires and a broken furnace on top of the planned expense of personal property taxes. As a result, I couldn’t go to the store to purchase eggs. It wasn’t because of ration points or unavailability like it was during wartime, but I was in the same boat nonetheless. What to do? After all, I still had a hankering for dessert. Time to go to my wartime cookbook. Who knew it would come in handy quite so soon? Grease a one quart baking dish (an 8X8 will do nicely). Put the apples in it and sprinkle with the cinnamon. Pour the water into the dish. Put the remaining ingredients into a bowl and with your fingertips, rub the flour, shortening, sugar, and salt together. 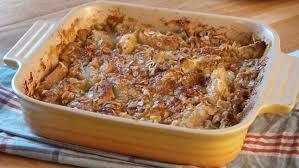 When it is crumbly and the shortening is well distributed, sprinkle the mixture over the apples. Place the dish in a 350 degree oven and bake about 20 minutes until the apples are tender and the top browned and crisp. This is also tasty with peaches, apricots, cherries, or blueberries. Ooh. That sounds like a great cookbook to have. I've gotta find a copy. Thanks for the great recipe.